The hulusi hails from the Southwestern part of China. (traditional: 葫蘆絲; simplified: 葫芦丝; pinyin: húlúsī) The name comes from two Chinese words; hulu meaning gourd, and si meaning silk. The hulusi is a cousin to the bawu flute, or the bilingdao to the Dai people. One location the hulusi comes from is the Yunnan Province. Yunnan means "South of the Clouds". The Dai people most well known for the hulusi and other non-Han Chinese have also played this instrument. Han Chinese is the dominate ethnic group in China and the largest ethnic group in the world! The hulusi is oftentimes manufactured in Tianjin. The hulusi has a large gourd that one blows into from the top. The air fills the gourd similar to a bagpipe, and then exists between 3 pipes. The pipe down the middle with the holes is used to create the notes, the other two sometimes are just for show. Some hulusi instruments have one drone, others have two. The sound is described as being incredibly soft and melodic. It has a similar sound to the western oboe and clarinet. Typically the hulusi is tuned to C major pentatonic scale. Traditionally, the Hulusi is made of bamboo pipes, but there are also rosewood and other various wood versions, including plastic. Wei Hou, Story of Bawu (flute). Additionally, the legend of the Bawu. The Bawu is a free-flowing reed instrument, although not a first sight. The bawu, like the Hulusi is a aerophone instument. It comes from Southwestern China and is played primarily by the Dai, Hani, Miao, and Yi people. Carved from bamboo, the bawu is blown from the side and the air exiting the mouth hits directly on a free-flowing reed. Typically, some bawu flutes are two parts that can be removed for cleaning and storing purposes. Some bawu flutes are played vertical, but traditionally they are played horizontal. The mouth part is shorter, while the longer end is for the finger holes. When the player blows into the reed or into a hole that sits above the reed, there must be a strong but firm breath. If the air passing isn't strong, the sound doesn't come out, and additionally, sound only comes when air enters the bawu from the mouth, not by breathing in. The bawu typically is tuned to B-flat3 - C4 - D4 - E-flat4 - F4 - G4 - B-flat4 - C5. The mythology behind the bawu varies slightly. According to legend, there were two young lovers, Mei Wu and Ba Cong. They were part of the Hani people. They loved each other so much that the village was amazed by their devotion and dedication to each other. One day, a demon from the mountains captured Mei Wu and forced her to marry him in vein, never to see her family and friends ever again. She refused to marry this monster and speak to him. "If you refused to speak to me, you shall have a severe consequence!" the demon said. As punishment, he cut off her tongue and abandoned her in the forest. Other legends say he captured and kept Mei Wu. A small bird found her tongue and brought to to Mei Wu and told her to put it inside a piece of bamboo and blow on it. The sound would become her voice. She played and played a song and the bird took the song and sent it around the world. Ba Cong could hear her song, and came to her rescue. He killed the demon and saved Mei Wu. The dizi is perhaps one of the most well known classical Chinese instruments and is featured in numerous soundtracks, folk songs, festivals, orchestral concerts, etc. The origin of the dizi is unknown, but archaeologists suggest that a similar structure has been around for 9,000 years and was belied originate during the Han Dynasty. Played horizontally, the performer holds the flute similar to a concert western flute. The dizi is made out of bamboo and has one blow hole, one for the membrane, and 6 finger holes. The extra hole next the blow hole is unique to the dizi as many other bamboo flutes in various cultures are structured similarly, but lack the timbre hole. It's cousin, the xiao, sounds similar, but lacks the timbre hole and also is played vertically. However, the membrane hole is what causes the dizi to have the buzzing, light, and air-like resonating sound. To create this sound, the musician uses a natural substance for glue called Ejiao (simplified Chinese: 阿胶; traditional Chinese: 阿膠; pinyin: ē jiāo). It's comes in a small square block and is made out of donkey hide and is also used in many traditional Chinese medicines. The performer places a small amount of water around the membrane hole and some put a small bit of water on the Ejiao. This causes the block to become sticky and then applied as glue. The paper placed on top of the timbre hole is known as dimo (Chinese: 笛膜; pinyin: dímó; literally: "di membrane"). The dimo is made out of the interior part of bamboo, a very light delicate paper-like substance. The dimo is typically replaced before most concerts depending on how strong it holds up. The dimo is placed on the hole and then stretched slightly to give a wavy, light wrinkle look. These wrinkles is what causes the buzzing noise, if the dimo is placed flat, the flute sounds more of a general flute sound. It's strongly advised to use ejiao and dimo as apposed to glue and tape, as these materials may severely damage the hole and ruin the sound. However, some musicians may use tape only during practice times, but will lake the effect of the timbre hole. The dizi is famous for imitating sounds of nature such as bird calls, water, wind, etc. Various different keys and size dizi vary from regions of China. Xiao di, typically comes in keys of C [G4 - C7] and D [A4 - D7] and are played in various Chinese ensembles; it's also the highest key. Bang di typically comes in A [E4 - A6] , G [D4 - G6], and F [C4 - F6 ] and is from Northern China and usually played in Bangzi Opera. The Qu di, usually in the keys of E [B3 - E6], D [A3 - D6], C [G3 - C6], comes from Southern China and is used to play in Kunqu Opera. The last type of dizi is the Da di, the longest and most deepest sounding dizi. The da di is usually in keys of Bb [F3 - Bb6], A [E3 - A5], G [ D2 - G5], F [C2 - F5]. (Reference 3) - Each of the 4 parts explains variations. The shakuhachi comes from the Land of the Rising Sun, Japan. Believed to derive from the Chinese flute, the xiao in the 8th century, the shakuhachi creates an emotional and mystical sound that is still enjoyed today. A small piece of ivory or bone is placed in the flat end at the top where the player blows across. The name shakuhachi comes from an ancient form of measurement. 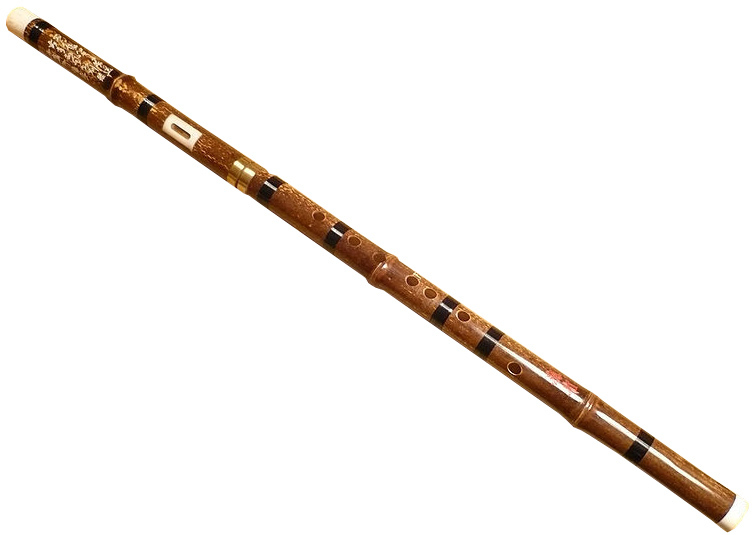 I shaku ha sun which literally means 1.8 feet, the length of the classical flute. Some shakuhachi flutes range in length of 1.3'-2.4'and some as long as 3.2' although this is less common. It's believed that the blown end flutes, similar to the shakuhachi, has roots in ancient Egypt and were passed to India then China, then finally reaching the shores of Japan in the 7th century. For many years, the shakuhachi slowly lost popularity but regained support through the Fuke sect of Buddhism. They believed in replacing spoken sutra with Sui zen or "blowing zen". During the Edo Period (1603-1867) this instrument gained a bigger fallowing. This era was known as feudal Japan, and the shakuhachi musicians increased significantly in numbers by the samurai warriors (ronin) who joined the ranks of itinerant preachers known as komuso ("Priests of Emptiness and Nothingness"). The Emperor Go-Komatsu (1408), and the famous Rinzai Zen Master Ikkyu of Daitoku-ji in northern Kyoto (1394-1482) played the shakuhachi. The komuso wear large baskets (tengai) over their heads to symbolize their detachment from the world. The flute serves two purposes; for spiritual practice, and also self-defense since the wood is pretty heavy and can be used as a club and was designed to protect monks during pilgrimages. The shakuhachi is also played in gagaku (court music). The bansuri is a bamboo flute that derives it's name from banse, meaning bamboo. The flute it oftentimes played during religious and semi-religious events as well as folk festivals and during performances of Indian Classical Dance. Sometimes the bansuri is played with tablas (Indian hand drums) during various dances such as bharatanatyam. The flute has symbolic significance as many Hindu people believe it's played by Krishna, one of the most significant deities in Hinduism. Krishna is often portrayed as a sheepherder and with an affiliation of magic and seduction. He is the 8th incarnation of Lord Vishnu. Incarnations in Hinduism are avatars, the Gods come to Earth and work with the affairs of man in another form. Vishnu is one of the three Trimurti; the three Gods of all creation. Brahma as creator, Vishnu as preserver, and Shiva as destroyer. Throughout India, the bansuri is known by many other various names: algoza, bansi, kolalu, kolavi, kukhl, murali, nar, pava, pillankuzhal, pillangrovi, pulangoil, vanu, and vamsi. This beautiful instrument is very famous for Celtic music and is known by a few different names; Irish Whistle, Penny Whistle, Feadóg Stáin, and English flageolet. The Tin Whistle is part of the 'fipple flute family'. Fipple flutes are end-blown flutes and many cultures have their own version of these flutes. A player would play from one end and allow the air to freely flow through the flute and cover the holes to make the scales and keys. A Neanderthal fipple flute has been found in Slovenia dates from approx 60,0000 B.C. although archaeologists speculate that it may just have been animal bites that made the holes (link). However, there have been discoveries of fipple flutes that originally were made by femurs and other bones. 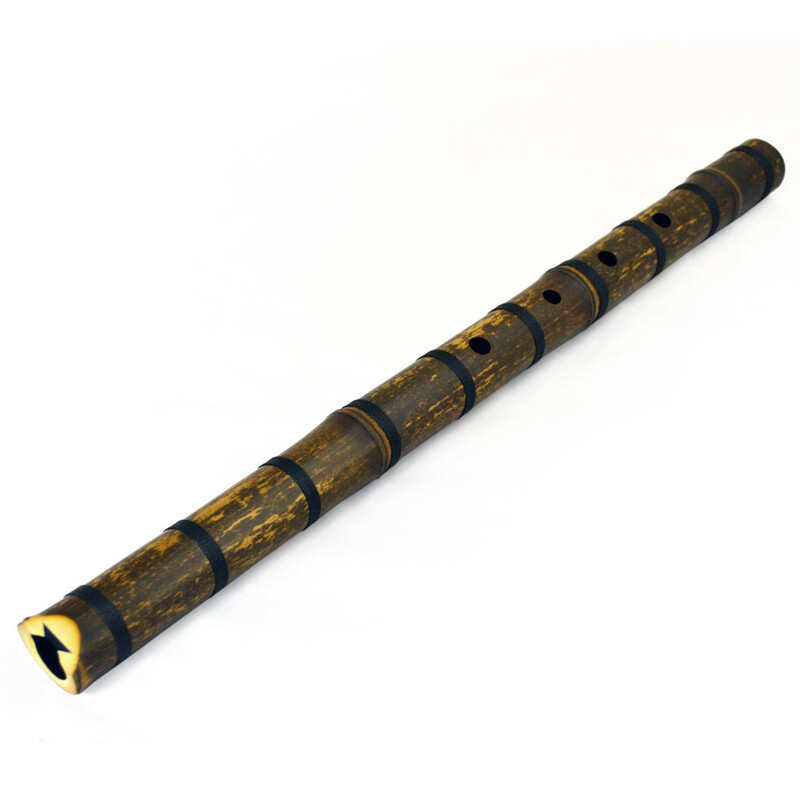 Some historians believe the style of the fipple flute has been found in Ancient China about 5000 years ago and made it's way to Europe during the 11th century. Fragments of 12th-century Norman bone whistles have been found in Ireland and an intact 14 cm. During the 17th century, fipple flutes were known as flageolets. This gave way to the English flageolets, French flageolets, and various flutes blown at the end during the Renaissance and Baroque. In the 19th century, the Tin Whistle became very popular with traditional folk music especially in Irish Folk songs. Today, the Tin Whistle is played all over the world and is famous in Celtic music and Irish folk songs. Typically they are made of brass or nickle-plated brass tubing. These instruments are usually mass produced and can by found at many music stores near you! 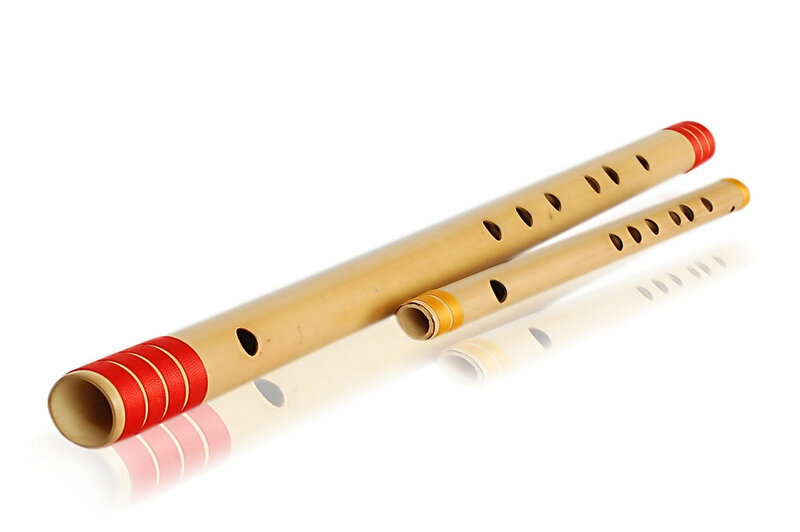 They are also great introduction instruments to children as many grade school students typically learn the recorder. As they progress, it's recommended to move up to a higher quality Tin Whistle. Much higher quality Tin Whistles can be much more expensive, but always highly recommended for the best quality and sound. The top notch flutes are made and 'voiced' by professional craftsmen. A few companies mention in an article; Burke Whistle, Sindt Whistle, Chieftain Whistle, Dixon Whistle and of course the Killarney Whistle. Acording to to the Clarke Tin Whistle story, "More than 170 years after the Clarke Tinwhistle was created, it still remains the favourite instrument of many musicians throughout the world. Our tin whistles continue to be hand crafted, and Robert Clarke’s traditional conical bore has been retained to give the instrument its unique ‘chiff’ sound. No other whistle has the same degree of ‘chiff’ as a Clarke. So play it, enjoy it, and join millions of musicians who started in music with the famous Clarke Tin Whistle." Today, visit any Celtic event, Irish event, Renaissance Festival, or cultural event and you most likely will hear one! The Hmoob Raj Nplaim is a traditional folk instrument found in various countries in Southeast Asia such as Laos and comes from the Hmong people. The raj is a family of various different types of this flute; the raj nplaim, the raj lev les, and the raj pum lib, raj nploog. Hmong instuments oftentimes are designed to match tones of words and language rather than musical tones. This became very helpful during times of war to send signals and messages. The nplooj, for example, is created using leaves and was used during combat! Check this Out! The Hmoob Raj Nplaim a free flowing reed instrument as is played very similar to the Bawu. The player would place their lips directly on the free flowing reed from the side angle and blow directly into the flute. The reed would vibrate back and forth and create the sound as air passes through the flute. Various holes would be covered to allow the different notes. What's very fascinating about this instrument is these flutes are designed to play words, rather than melodies by setting pitches to match certain tones of words in the Hmong language. Oftentimes these songs are about loneliness or love. These traditional instruments are not as popular by the youth as they are with the older generations, however, they are still played at various events and celebrations. *Information on this flute is pretty difficult to find online. I purchased mine at a Hmong event that was held in Sterling Heights, Michigan. It's not an easy instrument to find and purchase. The best way to purchase one is to attend a Hmong Event in your local area, or visit the Hmong in Southeast Asia. The ocarina is a very old and very ancient instrument. It's believed it dates back 12,000 years. Many cultures around the world have created various versions of the ocarina. In Central and South America, the Aztecs, Inca, and Mayans all had various versions of the ocarina and were constructed to look like birds and animals. However, India also has found versions of ocarina shaped like birds and animals too. China's version of the ocarina is known as a Xun. In the 16th and 19th centuries, the ocarina made it's way to Europe. In 1527, Cortes sent back to Europe a group of Aztec dancers Emperor Charles V to perform at the royal court.